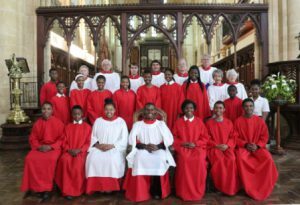 The Cathedral Choir will sing a traditional Choral Evensong with a difference – featuring works in different languages by South African authors and composers. 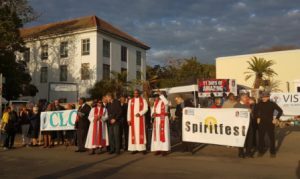 A Mass of Unity as four local Catholic congregations come together from different parts of town to celebrate and worship. Come and participate in a magnificent Choral Eucharist, with the Cathedral Choir and organ, and St Michael’s Marimbas. Come and join in the vibrant worship of the Every Nation Church as they celebrate the presence of God in the midst of the Festival. A lucernarium is a simple service of lighting the lamps before the darkness of evening sets in. A small choir will lead plainsong sections of the service. A must for those who enjoy contemplative liturgical worship. Sun 8 July 08:30 meet at the Drostdy Arch to process down High Street with the Methodist Young Men’s Guild, and members of various denominations with banners, in this act of public testimony! Refreshments will be available for participants, in the St Patrick’s Church Hall, Hill Street, after the march. 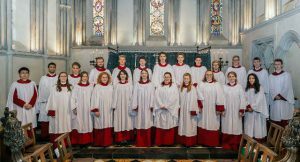 We welcome the Jesus College Choir from Cambridge in the UK, conducted by Richard Pinel. 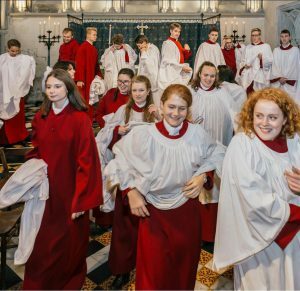 This acclaimed choir comes from a College founded in 1496. They will be singing the Cantus Missae Op. 109 by Josef Rheinberger. Preacher: The Venerable Mzinzisi Dyantyi, Sub-Dean of Grahamstown. Come and enjoy the vibe presented by Asakhe Cuntsulana and his band of young musicians with a uniquely African rhythm in their souls. 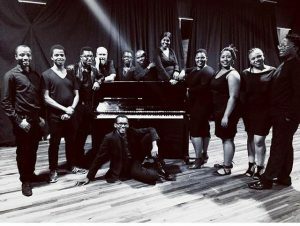 Founded in 2017 by conductor Kutlwano Kepadisa, this dynamic choir draws together singers from Grahamstown schools and Rhodes University, as well as community members. Hear them sing songs from Jake Runestad to Rachmaninoff and Mendelssohn, in English, Russian, German, Latin, isiXhosa, isiZulu and Setswana. 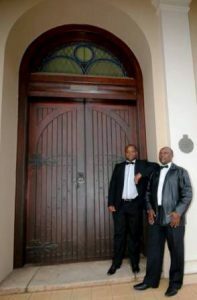 Members of the Grahamstown Circuit Church Choir are drawn from a number of Methodist church choirs in the area. 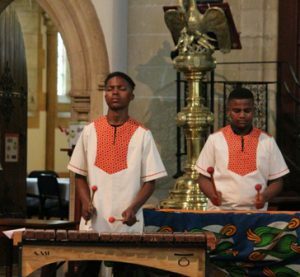 Come and hear them sing rousing spiritual favourites from South Africa and beyond, conducted by Siyabulela Lali and Reuben Maselwa. Enjoy listening to the lovely voices of Sisa Nomana and Sibu Mkhize. The programme includes ‘Be my love’, ‘My Lord, what a morning’, ‘Nobody knows’, ‘Music of the night’, ‘Nessun Dorma’ and many more favourites. Come and enjoy the splendid and majestic sounds of the Cathedral organ, in a programme including works by Händel, Boyce, Camidge, and Du Pré among others. 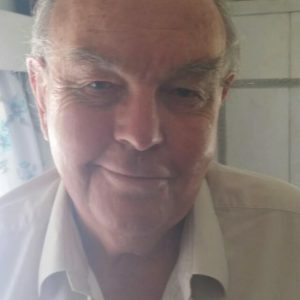 Noël-Jean studied organ, singing, piano and composition at the University of the Orange Free State in Bloemfontein and in the summer and winter vacations took master classes with the renowned organist, Maríe-Claire Alain, at the Sorbonne in Paris. Read more…. Please note this is the correct date and time, not as is printed in the Spiritfest flyers. 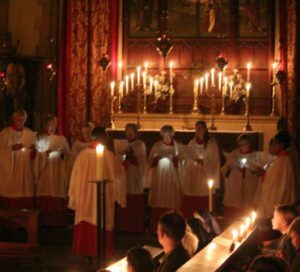 The acclaimed choir of Jesus College, Cambridge, presents a varied concert of sacred and secular music from around the world. See more, and book, on the National Arts Festival website. Sat 7 July 11:00 & 15:00 (1 hour) Kingswood College Chapel. 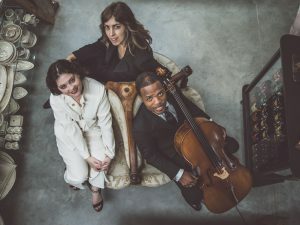 Soprano Emma Farquharson, who won a Standard Bank Encore Ovation at last year’s Festival, presents a special classical music concert to showcase and celebrate the exquisite and profound compositions of women, from AD 500 to the 1980s. She will be joined by pianist Nina van Schoor, and cellist Caleb Vaughn-Jones, artist-in-residence at Kingswood College. The title comes from a comment written by the 11th century theologian Bernard of Clairvaux, upon hearing Hildegard of Bingen’s lyrical anthems for the first time. See more, and book, on the National Arts Festival website. 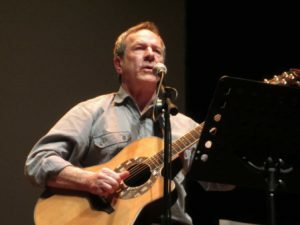 Fafa Hopkins, the stage-name of Chris Mann, Emeritus Professor of Poetry at Rhodes, presents a series of original song-poems sparked by the flickers of transcendence and regeneration we experience in daily life. For details of the show search for ‘Fafa Hopkins’ on Facebook. Let your heart be touched and your soul become still in the presence of the Lord, with 40 minutes of contemplative Taizé hymns and excerpts from Baroque works by the Rocher family – Salomie (organ/piano), Conrad (violin), Julius (violin) and Cornelia (viola). Click on the logo above for the 40 Stones in the Wall Facebook page. Curated by Jonathan Griffiths, Eben Lochner and Paul Greenway. A collective of young artists from across the country explore the relationship between faith and artistic practice in this group exhibition. Various media. Open daily 12:00 – 14:00 and 18:00 – 20:30. AND Fort Selwyn (on the hill next to the Monument). Open daily 09:00 – 17:00. In this exhibition Franli Meintjes allows the viewer to journey along with her through her own personal inner struggle and process caused by her pursuit of reaching for something that might seem impossible. 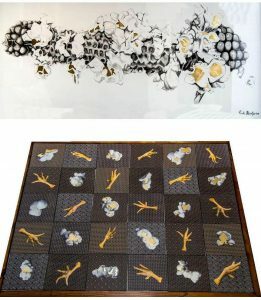 The metamorphosis of popcorn and the different stages of ceramics together with the use of technology forms her vehicle of investigation. 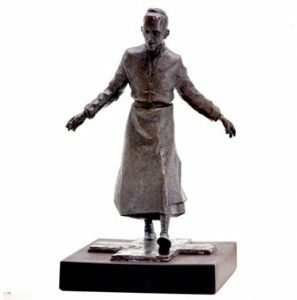 Two sculptures of famous South African spiritual leaders who witnessed boldly for the truth, by Niel Jonker. They depict Fr (later Archbishop) Trevor Huddleston, and Archbishop Desmond Tutu. An art walkabout with moments of silent contemplation. Artist Julia Skeen will talk about the architecture and artworks of one of the most beautiful buildings in Grahamstown. Includes a tricultural triptych of the Madonna and iconic images of Christ by the artist. Mon 2 July: The Revd Dr Mary Ryan: ‘In the footsteps of Mary Magdalene’. Clearing pathways for women’s priesthood in an inclusive Catholic church. 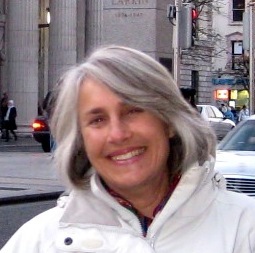 Mary Ryan is a theologian, a social activist, a leader in the broad caring community in Heidelberg, WMG (wife-mother-grandmother) and a committed Christian with an interesting spiritual journey. Tue 3 July: Phumeza Mntonintshi: ‘My journey towards training as a Sangoma’. 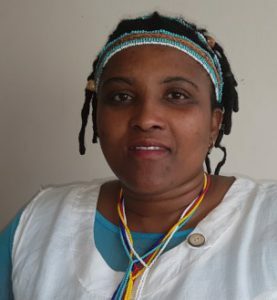 Phumeza Mntonintshi, a Methodist, grew up in Tsolo, Eastern Cape, and trained in museology in Cape Town; she is a mother of two boys and has been in training as a sangoma. Wed 4 July: Book Launch: Jeanette Eve: ‘Reminders of Connectedness’. 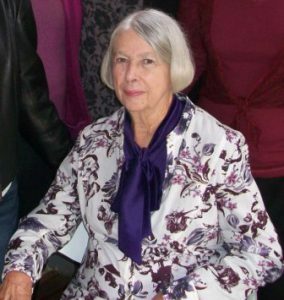 With a lifelong love of the art of words, Jeanette Eve has studied and taught Literature in various contexts, and for some years shared her enthusiasm through the Cathedral’s ‘Faith and Literature’ group. An occasional writer of poems, this little collection reveals her love for Creation and some ways in which her spiritual journey has included a growing realisation that all life is one. Fri 6 July: Book Launch: Michael Arnold: ‘The Forgotten Feast and the Covenant of Grace’. Do you despair because you can’t live up to the ‘demands’ of the Gospel? This book will provide you with comfort and encouragement. 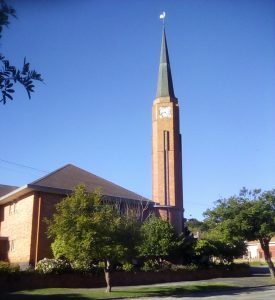 Michael Arnold is a classical scholar, theologian and experienced Anglican school chaplain. Read more about the book here. Sat 7 July: Al Gini: ‘The Importance of Humour in our personal and professional lives’. Given the troubling times in which we live, Al Gini believes that the only way to deal with the daily assault of real news, fake news, and bad news in our lives is to laugh at it and with it. He is convinced that laughter offers perspective, reinforces our humanity, and encourages hope. 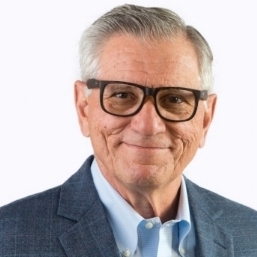 Al Gini is a Professor of Business Ethics in the Quinlan School of Business at Loyola University Chicago. Explore the tradition that comes to us through the centuries from the Desert Fathers and Mothers, led by visitors from the World Community for Christian Meditation and the Centre for Christian Spirituality. Guided prayer allows one’s prayer life to become enriched. Through experiencing different ways of praying you will become more aware of God’s presence in your daily life. 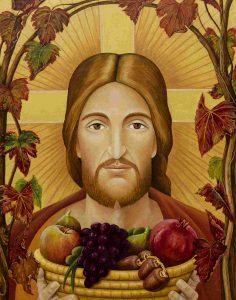 Thirty minutes Monday to Friday with a confidential prayer guide for listening, sharing and reflecting. 2 – 6 July 30-minute slots available between 10:00 and 11:30. No charge. To book, email spiritfest@grahamstowncathedral.org or book at the venue. Share a poem, a story, a song, a sacred text, or a testimony – yours or somebody else’s – with a sympathetic audience in the beauty of a sacred site. Bring your instrument or just your voice, and share the song in your heart. With emcee Harry Owen, well-known South African poet and Grahamstown resident. Copyright © 2017 Cathedral of St Michael & St George, Grahamstown | All Rights Reserved.